…can’t say enough good things about The Automated Safety Hitch System | Safety Towing Systems, Inc.
To all perspective buyers of The Automated Safety Hitch…I can’t say enough good things about this product and the customer service that has been provided by Joe and his people! I have had my Safety Hitch System for a little more than a year now and it has changed my life. I pipeline for a living so I travel all across the country with my family. We had a special 5th wheel built so that my family and I could have a bit more room when we are on the road. My current 5th wheel is 53′ long and with the way my truck is loaded with the welder and all my tools I weigh just under 39k between the truck and trailer. 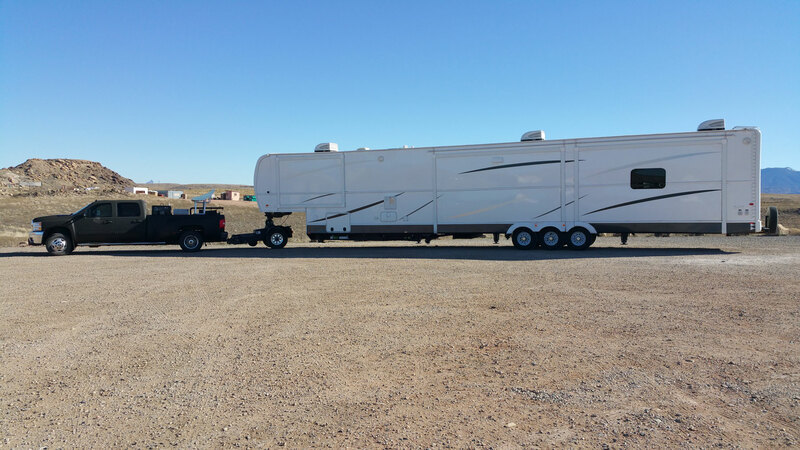 I get a lot of questions from other truckers and and from people in general asking how I’m able to pull the load I have and how I’m able to get in and out of the RV parks we go to because of the size of my rig. 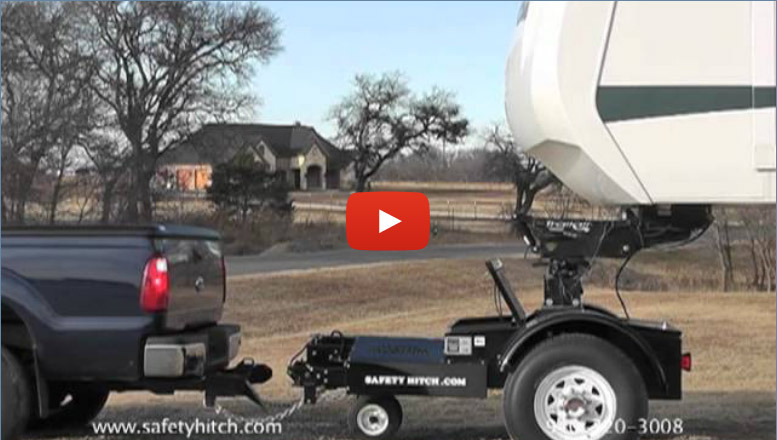 It’s all thanks to the Safety Hitch System! I can make a tighter turn with my 53′ 5th wheel attached to the Automated Safety Hitch System than I ever could with our pervious 40′ toy hauler hooked up in the back of my truck! Everything about the Safety Hitch is amazing, but the thing I love the most is the extra breaking power (probability because it saved me from driving through a bunch of vehicles when there was an unforseen slowdown on the freeway)! I had my cruise control set a 70mph on the freeway when suddenly all the cars in front of me slammed their breaks on…if it wasn’t for the extra breaking capacity of the Safety Hitch I wouldn’t have been able to stop in time. After putting on thousands and thousands (…and thousands!) of miles on the road with the Safety Hitch I have come to the conclusion…I would never want to pull anything without it again!